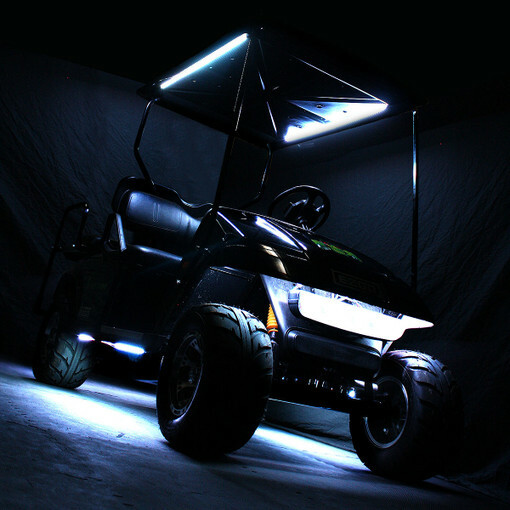 Adding a CANOPY LED light to your Golf Cart sets your cart apart from all the rest! Designed to work with our Golf Cart UNDER-GLOW LED light kit, the CANOPY LED light kit takes your Golf Cart light kit to the next level. Offered in both Multi-Color (RGB) and Single-Color versions, lighting your Golf Cart canopy means you'll be seen.